Opposites attract. 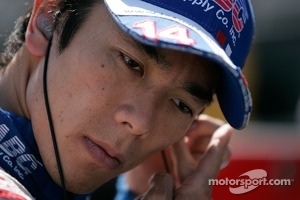 Takuma Sato will continue as driver of A.J. Foyt’s No. 14 ABC Supply Honda for the 2014 IndyCar Series. 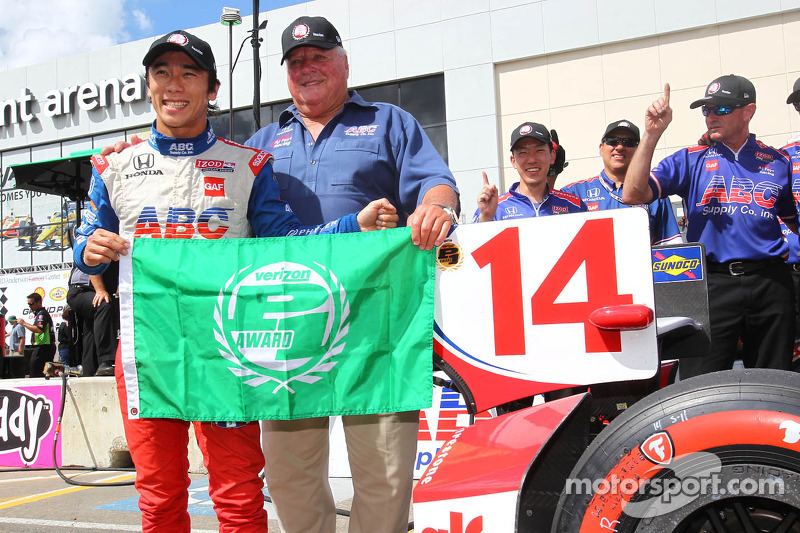 In 2013, the compact Japanese pilot with a huge amount of talent brought the burly Texan owner his first victory since 2002 with an impressive performance in the Long Beach Grand Prix. 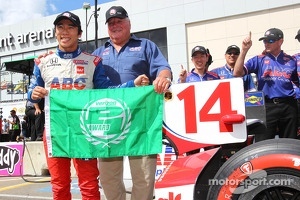 Winning the pole at the Houston Grand Prix, Sato notched the team’s first pole position since 1998 when Billy Boat won the Indianapolis 500 pole. 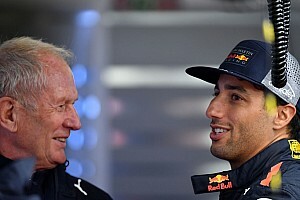 With veteran chief engineer Don Halliday and performance engineer Raul Prados on board for their third straight year, the ABC Supply Racing team is poised for their most competitive season yet. “Working with A.J., Larry, Don and all the boys (and, of course, ladies!) 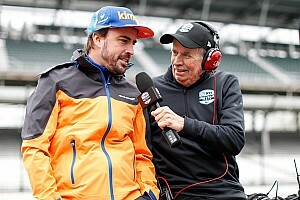 is just fantastic,” Sato continued. “This team is really special for me. I always felt that the team was behind me and it gave me the confidence to go for the win in races. I’m very excited to continue to build this great relationship. We know what we need to focus on next year. We are anxious to test the new Honda engine--from what I hear, the engine will put us in a great position to be up front more often in 2014. I am convinced that we can be a contender in the Championship." In other news, the 78-year-old Foyt underwent successful knee-replacement surgery on his right knee December 12th. Foyt spent just one night in the hospital and is doing exceptionally well in his recovery. Foyt had his left hip replaced in July and had his left knee replaced in 2006. 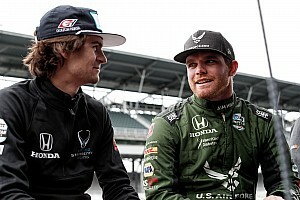 The 2014 IndyCar season starts the weekend of March 28-30 with the Firestone Grand Prix of St. Petersburg kicking off the 18-race schedule.